In early September US District Judge Carl Barbier found BP guilty of gross negligence, or “more reckless and extreme behavior” for their 2010 Gulf of Mexico oil disaster, which was the single largest marine oil spill in US history. BP now faces a penalty of as much as $4,300 for each barrel of oil spilled, exposing the oil company to an additional $18 billion in fines. That is nearly quadruple the maximum civil fine had the finding been simple negligence. Given the number of UK citizens, government employees or otherwise, who have a massive financial stake in BP’s financial well-being, the UK government’s interest in the outcome of BP’s US court case is obvious. Yet several long-term senior BP “SOHIO” employees who are incensed at what they believe is BP’s attempt to short-change them on their pensions are enraged by the company’s willingness to engage the UK government’s assistance in avoiding fines in the United States, whilst ignoring the pleas of US-based senior employees for the company to honor their pension plans. For more than half a year, at least 450 BP America employees have described BP as a company that is reneging on their pension plans by up to 75 percent, lying about it, and actively working against them in order not to pay them retirement benefits that were promised. Guenther, Stauffer and other previous and current BP employees, with whom Truthout spoke, are frustrated because they all belonged to Standard Oil of Ohio (SOHIO), a company BP bought outright in 1987 and made the cornerstone of its new national operation, BP America. At the time, BP promised these new employees in writing that their pension plan would maintain equal value to the old plan, or would even increase in value. According to Guenther and several other current and former long-standing BP employees, in 1989 BP converted its US-based workers to a “new and improved” retirement plan. According to these BP employees who spoke with Truthout, to date over 450 BP America US employees have filed “code of conduct and ethics complaints” with the BP Ombudsman Judge Stan Sporkin. Regarding BP’s consistent claims that the company has done everything possible to compensate those impacted by its disaster in the Gulf, coupled with the company enlisting the UK government to come to its aid regarding the recent court ruling against it, Guenther had strong words. Sarah Fujimoto and her husband both retired from BP in April 2014, after 37 and 36 years of service, respectively. She provided Truthout with examples of this. -We (the Ombudsman’s office and BP) will be meeting again in a month, then it takes two-three months for any sort of an update and the updates say nothing. -We will be meeting again in another month, then months pass and we get nothing of substance. However, given BP’s track record in fully compensating those impacted by their oil disaster in the Gulf, in addition to what other former long-term BP employees have told Truthout, Fujimoto’s hopes for BP to do the right thing appear fantastic. Kirk Wardlaw worked for BP for 31 years before retiring over the pension issue two years ago. He’d known of the pension disparity for more than 15 years and knows of more than 50 of his former colleagues who were disgruntled over the issue as well. BP’s former senior engineer Wardlaw offered a warning to people in the Gulf of Mexico who have filed compensation claims with BP. “Those depending on BP to ‘do the right thing’ in the Gulf of Mexico should be aware of BP’s unfair and callous treatment of some of their own employees, failure to adhere to their own code of conduct, and the willingness to hide behind a standard of ‘we did what was technically legal,'” he said. Truthout asked BP when the company would reach a conclusion about the pension issue in question, if the company planned on making a public statement, and if the company’s UK office was aware of the pension dispute. BP has listened to and understands the concerns of our SOHIO employees and has cooperated fully with the Office of the Ombudsman’s investigation. With the Ombudsman’s report on the matter now complete, we are reviewing the findings and will share our position on the matter with these employees shortly. Another long-term BP employee, who still works for the company, requested anonymity out of fear of retaliation by BP. “But when BP was accused of violating their code of conduct in 2014, BP responded by rewriting their code of conduct,” the current employee told Truthout. Guenther remains incensed at both his company’s response to the pension dispute as well as how the company only takes care of its own regarding certain issues, as evidenced by the recent UK government actions regarding the “gross negligence” ruling. “BP continues to ignore us and to date has not provided us with any updates and, at best, the ombudsman continues to stall any resolutions,” Guenther said of his current situation. “The ombudsman report concluded that what BP did was wrong and that they need to take bold actions to correct this. 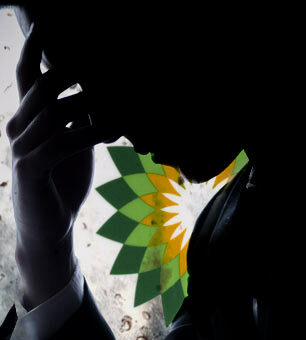 So far BP has done nothing even though they have had the report in hand for over six months,” he said.